Carrie Lam Cheng Yuet-ngor has officially thrown her hat into the ring for the next chief executive of Hong Kong. Her resignation was approved by Beijing (along with John Tsang Chun-wah's), and she wasted no time in announcing her intentions. At a press conference in the Hong Kong Convention and Exhibition Centre, Lam stepped out for the first time as a political candidate, and perhaps being herself for once, because as a civil servant, she had to follow the lead of her bosses. "Like many of you, I am worried about the discontent that has emerged in our society," she said in English. "I know our younger generation is concerned about the lack of upward mobility and the cost of housing. 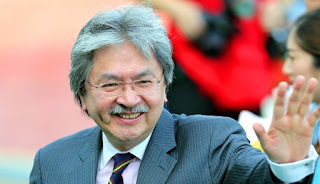 I share the desires of many -- that we must reignite Hong Kong's can-do spirit. "I am ready and willing to take up the challenge... 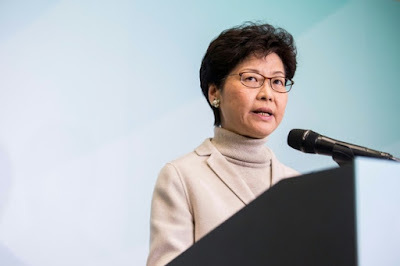 I fully realize it's a tall order, but with the passion to serve, and faith in the people of Hong Kong, I am confident that together we will succeed," she continued. "At this junction, it is incumbent upon the government to restore faith, propel the economy, reduce inequality, and build greater consensus." She also hinted changes would be made if she was the city's next leader. "My view today is that the governing team of the next administration should be injected with new blood." Wonder if she is referring to the shuffle of officials since she and Tsang quit. Secretary for Labour, Housing and Welfare Matthew Cheung Kin-chung is now Chief Secretary, while Paul Chan Mo-po is now Financial Secretary, a promotion that raised eyebrows considering the latter's involvement in several scandals. "I'm afraid good governance requires higher standards -- public participation, the rule of law, societal consensus, timely response, accountability. A higher level of transparency is also required," Lam said. The fiasco over the Palace Museum project seems to have died down, though more could have been done to promote it in a better way. 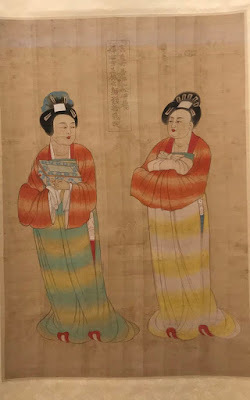 Some arts experts claim the collection in Beijing is far better than what Chiang Kai-shek took with him to Taiwan. So why wasn't this point made earlier on -- in fact why haven't we even seen these treasures before in the Forbidden City? In any event it'll be interesting watching Lam campaign for her job despite apparently being Beijing's favourite. She'll still need to prove her worth to a skeptical audience, particularly the younger crowd who already believe she's been co-opted by Beijing. How can she -- and frankly all the other candidates -- prove they are making Hong Kong's interests a priority?